Chicory has a blog! She’s just getting started, so go over there and say hi! Fill up her follower box! I got an email about a shared galaxy called Galaxiki. It’s this wiki where you can buy a planetary system and populate it with your own lifeforms. Here is an example of a system that has been edited. It looks pretty cool–quite a geeky time waster! I now have almost 300 Twitter followers! (Sorry. I think it is awesome.) And while I’m self-promoting, I have thirteen reviews at Amazon (average rating 4.5!). AND, over 100 people have added my book to their GoodReads shelves, with 31 reviews/ratings so far! John Ottinger, owner of the awesome Grasping for the Wind, has guest-edited a science fiction magazine! Residential Aliens–or ResAliens–#4 is his issue, and he has provided me a sample copy to review! I learned about a great word tool on GalleyCat–Visuwords! It is so awesome–beyond words. A souped-up web 2.0 thesaurus–plus much more. Just try it! The only thing it doesn’t do is rhyme! What is it? 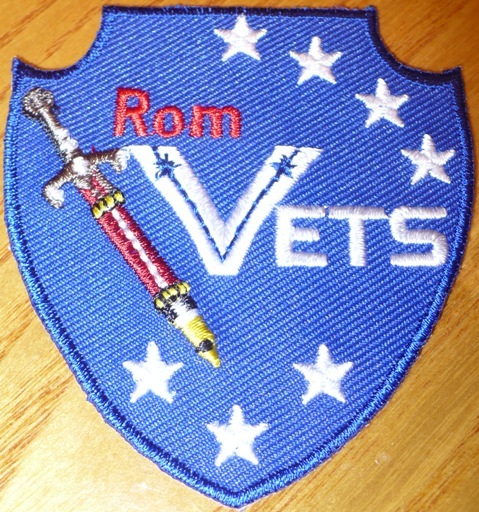 A RomVets patch! 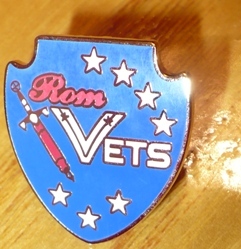 What is RomVets? It’s the “homepage of military women who’ve turned the sword into a pen.” Or, romance writers who are veterans. Who knew such a group existed! I thought it would be fun to join, but I was floored when Merline Lovelace–excuse, me, Colonel Merline Lovelace (I’d better salute!) wanted to send me my squadron patch and pin. Yes, pin! (Don’t you love how I got the nice glint in the corner? That took about eight tries.) You can really see their cool logo in this picture–a fountain pen with a crossguard and hilt! I learned about RomVets through the awesome Kimber An, who awesomely featured me (again) on her blog when she recognized veteran authors. Huzzah, Kimber! And I was JUST saying to my husband that I needed to get a leather biker vest to put all my military patches on, a la the Freedom Riders. What do you think of this one? Rawr! I don’t need a lot of room for patches, unless I discover (or found!) SciFiVets or FanVets, and do up patches and pins for them as well. And that’s my little post ‘o awesome for today. May something awesome happen to you today! That badge is full of awesome. But that is the only reason I would buy such a vest. To wear to Veterans Day and Memorial Day events. Got any other suggestions? HI Tia and welcome to RomVets. I think this is one of the best writing groups around. If we need a military question answered we have our own group to help with answers. The vest is really cool too. Lots of awesome happening to an awesome person. Thanks, everyone. I’m still trying to envision myself in a leather vest. Maybe Walter is right and I should opt for a sleevless fatigue top. Hey the patch looks awesome Tia! 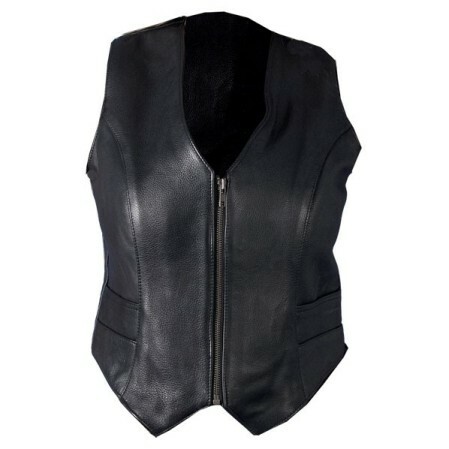 And as for leather vests – if you plan it out – a leather vest looks a ton sharper than an old fatigue shirt! Yes, leather is semi permanent once apply needle and thread to sew on patches, but if you get a vest that looks sharp, and plan it just for the patches, then oh yeah, it’s the way to go. I was just at a veteran’s day parade wearing my own leather vest with my own romvets patch on it (Plus a few others). I keep mine feminine and sharp looking. One day I’ll have to take a pic of my very special pow/mia patch with a feminine flare. They are quite rare, as I’ve never seen another one. I’d love to see your POW patch! Be sure to let me know when you post it so I won’t miss it. And that’s exactly the use for the vest I had in mind. I would only use it for events like parades, rallies and observances. So once I sew a patch on it, I’m unlikely to remove it. That said, it does get pretty hot in Florida, so denim is tempting.